I didn't get to do as much museum touring with the kids as I would have liked this weekend. To rub it in, Steve sent me a picture of this kitchen on his iPhone. Apt. 11D Quiz Whose kitchen is this? Aww, I couldn’t check from work, but I remember that from the end of the movie _Julie and Julia_. Maybe I can just win dinner cooked with YOUR kitchenaid. I’ve been to that kitchen 3 or 4 times. It’s pretty amazing. Argh, I knew that, too, as we were there last summer. haha! I went there on my birthday and posted pictures to my blog. 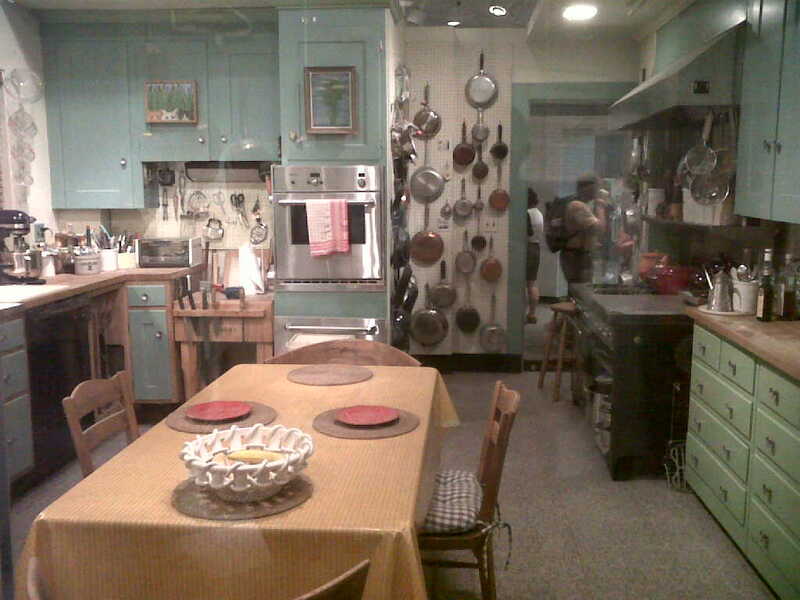 Julia Child’s kitchen, of course! It’s Julia Child’s and I spent an hour staring at it last month when in washington (by myself!). MOMA is doing some sort of kitchen exhibit beginning that opens some time in the next few weeks. ooooh. I’ll have to check it out. Look.